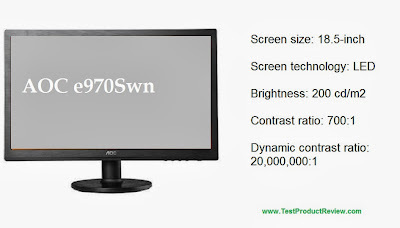 AOC e970Swn is one of the latest and one of the cheapest monitors in the brand's model line. It is basically a 18.5-inch LED monitor with TN matrix and HD resolution of 1366 x 768. 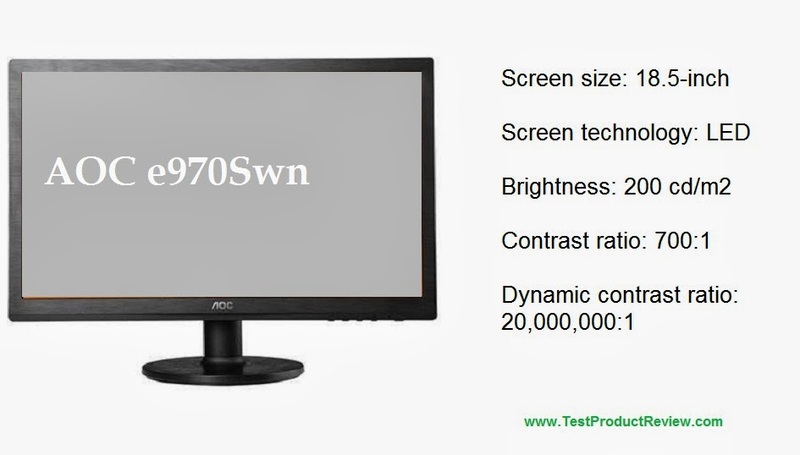 As you can see the AOC e970Swn has pretty basic specifications. The manufacturer did their best not to put anything additional to this monitor in order to keep the price very low. The 200 cd/m2 brightness and lack of any interface and port choices clearly show that this meant to be the entry level model of the company. But considering the low price of just $120 on the US market and around £75 in UK this 18.5-inch AOC monitor suddenly becomes quite appealing. And if you need bigger monitor with more features and better specs you can take a look at the AOC e2343Fi 23-inch Full HD LED monitor.